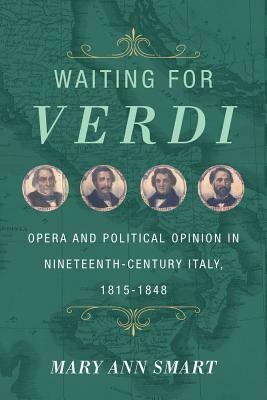 The name Giuseppe Verdi conjures images of Italians singing opera in the streets and bursting into song at political protests or when facing the firing squad. While many of the accompanying stories were exaggerated, or even invented, by later generations, Verdi's operas—along with those by Rossini, Donizetti, and Mercadante—did inspire Italians to imagine Italy as an independent and unified nation. Capturing what it was like to attend the opera or to join in the music at an aristocratic salon, Waiting for Verdi shows that the moral dilemmas, emotional reactions, and journalistic polemics sparked by these performances set new horizons for what Italians could think, feel, say, and write. Among the lessons taught by this music were that rules enforced by artistic tradition could be broken, that opera could jolt spectators into intense feeling even as it educated them, and that Italy could be in the vanguard of stylistic and technical innovation rather than clinging to the glories of centuries past. More practically, theatrical performances showed audiences that political change really was possible, making the newly engaged spectator in the opera house into an actor on the political stage. Mary Ann Smart is Gladyce Arata Terrill Professor in the Department of Music at the University of California, Berkeley. She is author of Mimomania: Music and Gesture in Nineteenth-Century Opera and editor of Siren Songs: Representations of Gender and Sexuality in Opera.